We're overspending for the love of a 'like' on Instagram. Here's how to stop. There are lots of hidden surprises on social media these days — but the biggest one could be how your online image is impacting your wallet. The next time you’re scrolling through Instagram, getting your daily doses of inspo and FOMO, keep in mind that behind that colorful grid lurks a dirty little secret. Turns out we’re spending — many of us a lot — in pursuit of the perfect ‘Gram. 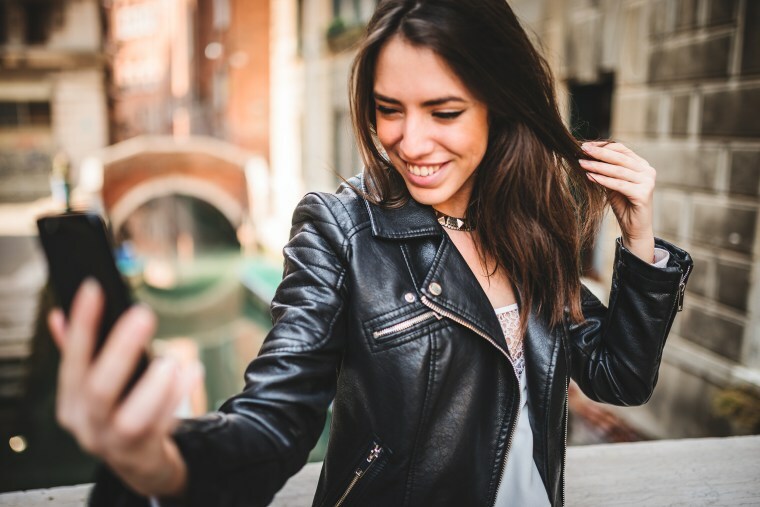 According to a recent Chase Slate survey, 77 percent of millennials made purchases that they would then Instagram, including food, vacations and clothing, and were willing to spend nearly twice as much money to achieve the perfect post ($137) as the general population ($70). I've studied toxic wealth for 25 years. Here's what I learned. A lot of people — known as influencers — make far more money on Instagram than they spend by charging a fee for sponsored posts. They most often have followings of 500,000 or more, and are found in all industries including fashion, wellness, motherhood and travel. (Nano-influencers, who have much smaller followings, sometimes do the same in exchange for free stuff.) Folks interested in becoming an influencer may view their spending on social media spending as essential — the quintessential “gotta spend money to make money” logic. But that’s a slippery slope, cautions Farnoosh Torabi, financial education ambassador for Chase Slate. “People rationalize it and say, ‘I’m doing this because it’s going to help me make money one day,’ but in the long run that’s not a great business plan, if that’s your whole plan,” Torabi says. Spending money on social media posts from time to time doesn’t have to be a bad thing, Torabi says. A single photoshoot can yield a wide variety of material, including multiple stories, different angles or outfits and then there’s always #throwbackThursday for reviving content you love. The goal is that you make your investment count. Keep track of everything so you’ll know how much you’ve spent in a given month or year, and you can ensure you’re not going over budget. “Anything that makes you compromise on having a financially secure future is dangerous,” Torabi says. Of course “likes” don’t have to equal money spent. There are plenty of ways to rein in your social media spending while also creating a brand and profile people will be eager to follow. Here are a few. Social media can easily cause us to go down a rabbit hole of wanting our real lives to measure up to someone else’s highlight reel, Cruze warns. “If we aren’t careful, we can wind up chasing someone else’s values instead of our own, and the road to comparison always dead-ends in debt,” she says. Instead of sharing your latest purchase, share what’s inspiring you today, or something you think is uplifting or funny. People love to see the process and the messiness of day-to-day life. “Show your work and be authentic and vulnerable. People don’t need filters or the perfect backdrop,” Torabi says. Most followers just want to feel a connection with you. If you can make them feel like you’re speaking directly to them, they’re going to be engaged. “I don’t know what the next big platform will be, but there will be one,” Ludwig says. “When the shift happens, what will you be left with?” In other words, your long-term goals (like buying a house, having a stress-free retirement, etc.) should always be your priority. “If you want to spend money on Instagram, think of it like an alternative investment, like crypto,” Torabi says. It can be fun, and you might get a payoff, but the vast majority of your money should be going into more solid investments. “I’ve taken breaks before, and it’s amazing what happens when you actually experience your own life instead of the life someone else is portraying through a screen,” Cruze says. If you find yourself tempted to spend money you don’t have because of Instagram, consider stepping away for a bit, or unfollowing the accounts that may be encouraging you to invest more time and money than is wise. Kathryn Tuggle contributed to this report.